Today marks the release of the final digital chapter of the Injustice Year 4 comics. 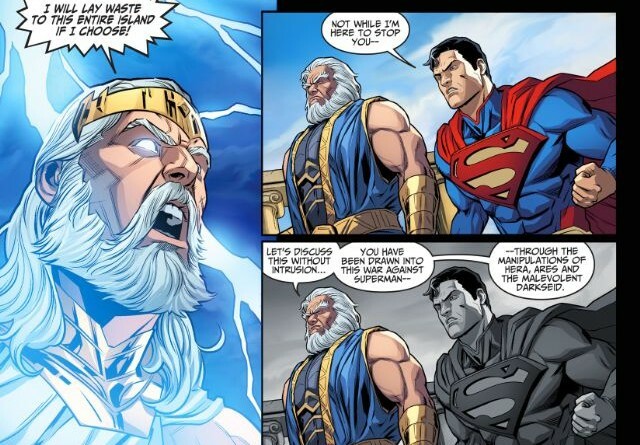 The so called year of the gods concludes with Zeus exiting the conflict with Superman after the involvement of the New Gods. The year showed us several signs of hope for Superman’s humanity. Several things that let us believe that he might start seeing things a little bit different. In the aftermath of the events however we witness him setting a trap for Batman by lying to him and quickly realize that things between the two haven’t changed one bit. The change we also saw in Wonder Woman after she murdered Huntress is also gone and we quickly realize that in the absence of a great threat both Superman and Wonder Woman are just as corrupt as they were at the beginning of the year. 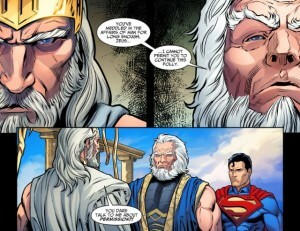 The chapter concludes with the new gods foreshadowing the involvement of heroes from a different dimension in the conflict between The Man of Steel and Batman and with a powerful villain escaping his prison. 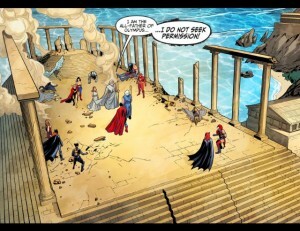 A plot that will either be resolved in Year 5 or in Tom Taylor’s Injustice Year 4 Annual. 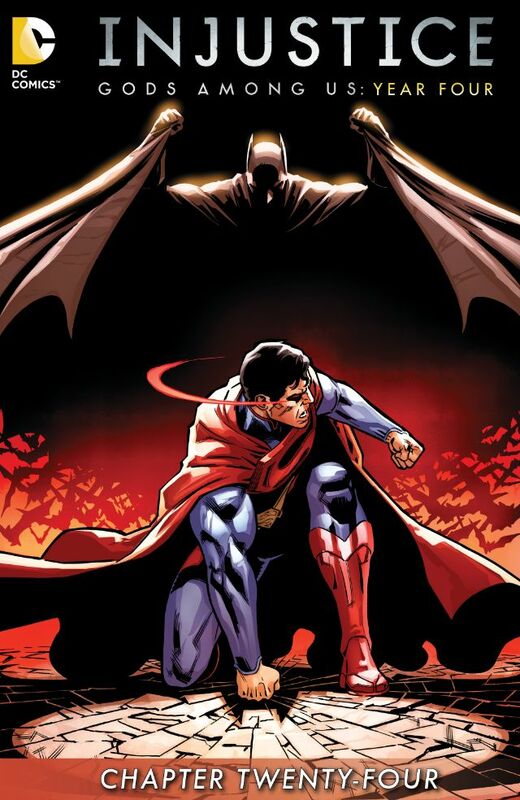 Injustice Year 5 will tell the events that lead directly into the Injustice: Gods Among Us video game closing the 5 years gap of missing story. Did you like Injustice Year 4? Tell us in the comments below.